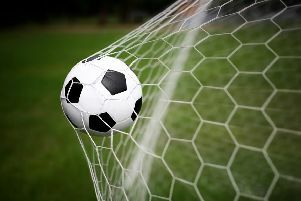 Chichester City Youth Football Club’s under-11 side proved too strong for all opposition in the Barnham Trojans six-a-side competition. The club’s two sides entered faced each other in the final. Both City’s green and white teams stormed the early stages winning their respective groups. Winning the groups meant City’s teams avoided each other in the semi-finals. Once again, Chi’s under-11 teams were dominant in the final four and both won their semi-final fixtures. Having both played some fine free-flowing football throughout the day, the final proved to be a tight encounter. It was the green team who took an early lead and held on until the closing stages. With just 46 seconds left of normal time the white team managed to get back on level terms and force extra-time. Both teams looked tired in those tense final few minutes but the white team completed the turnaround to win 2-1. All of Chichester’s players were brilliant all day and with several over teams staying on to watch, it showed the level of football produced from City’s under-11s on the day, with the white team fully deserved winners.